Fox viewers will once more have the chance to see Megyn Kelly and Donald Trump fight on television. After an unannounced meeting at Trump Tower earlier this month during which the pair “cleared the air,” Trump has agreed to be interviewed by Kelly for a prime-time special that will air May 17, with extended clips appearing on Kelly’s show, The Kelly File, the next day. And for good reason — this is the first time in nearly a year that hostilities between Kelly and Trump have cooled. Their feud began during the first Republican debate last August when Kelly called Trump out for the way he publicly refers to women. Afterwards, Trump declared he’d been treated “very unfairly” and suggested this was because Kelly had “blood coming out of her wherever.” Trump then declined to appear at two subsequent events in which Kelly was involved, and he’s attacked her so viciously on Twitter that Fox was forced to come to her defense. Offering Trump an olive branch was a strategic move for Kelly. 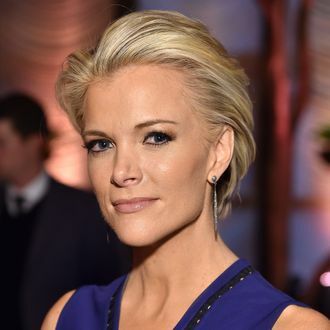 By negotiating with Trump without the help of her boss, Fox CEO Roger Ailes, Kelly — who is in the final year of her Fox contract — proved her worth as a network commodity. Her interview with Trump will be beneficial for both parties: Trump will get to show off his “presidential” side, and Kelly will appear in rare form just before competing networks are expected to shower her with offers. Even better, the draw of Trump and Kelly in a room together is bound to jump-start Fox’s ratings. The art of the deal is alive and well.